This stylish urban neighborhood is the place to go if you appreciate fine art and design along with fine dining and drinks. It is a place to experience late night trendsetting openings. In the 70s and 80s, dormant factories started to become work spaces and studios for artists and entrepreneurs. New businesses followed so now you can find numerous galleries, antique shops and home stores. Cultured by day, Excitement by night. Dining here is always buzzing. And for after-hours, there are trendy clubs, upscale wine bars and craft cocktail lounges. 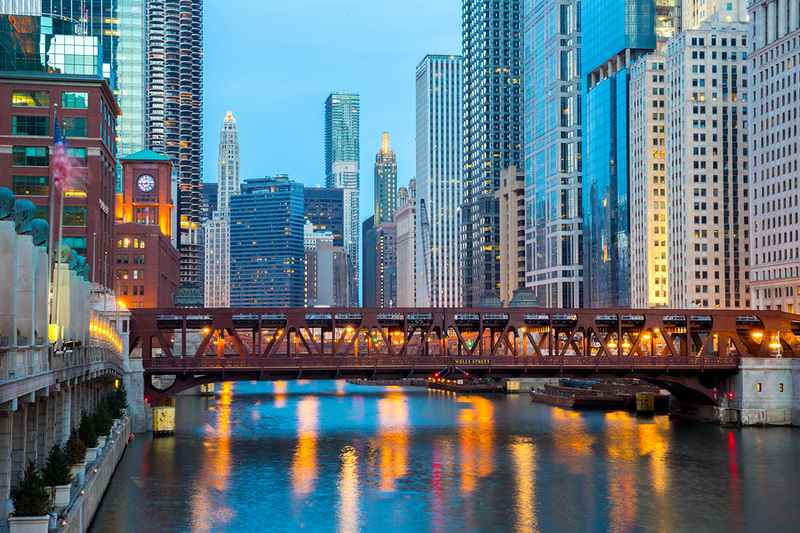 Forest Security is proudly family owned and operated and has served River North and the entire Chicagoland Area for over 35 years. Forest completely customizes your complete security and home automation system to ensure both safety and convenience. We will offer you several security and convenience options from which to choose. Your custom system is guaranteed to be the perfect fit for your lifestyle and budget. Whether you live in an upscale loft or a large sprawling home, your complete satisfaction is our top priority. Our Security Specialists along with our excellent Customer Service Representatives and our highly trained Technical Staff, work in unison to ensure your security and complete peace of mind.